Older readers may well remember Dr. Sterling McLean who practiced medicine in Middleborough between 1935 and 1959 and was a well-loved and highly-regarded member of the town's medical community. Dr. McLean's granddaughter, now living in Florida, has begun a blog, Dr. Sterling McLean, to help perpetuate her grandfather's memory. Over time, she hopes to add additional information and photographs documenting Dr. McLean's life. Dr. McLean was born in Plymouth, Massachusetts, May 15, 1909, and was graduated from Plymouth High School with the class of 1926 and from McGill University in 1934. He interned at Montreal General Hospital. In 1940, he received a scholarship from the Public Health Division of the Commonwealth Fund of New York for postgraduate study in pediatrics and obstetrics at Harvard Medical School, the Children's Hospital, and Boston Lying-in Hospital. Coming to Middleboro in July, 1935, he became associated with Dr. Alfred E. Elliott in the practice of medicine. He opened his own office on Rock Street in 1939. Dr. McLean was a member of the medical staff of St. Luke's Hospital in Middleboro, and at the time of his death, May 16, 1959, he was secretary to the staff. In June, 1947, he was named by Governor Robert E. Bradford, medical examiner of the Fourth District of Plymouth County, an office he filled until his death. He married Mrs. Lillian Grant of Middleboro, and there were four sons: Douglas S., Wallace M., Stuart R., and Grant A. McLean. 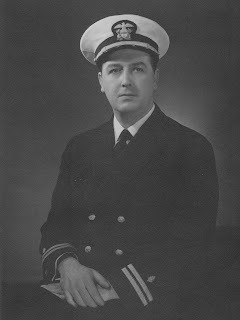 Dr. McLean was a Commander in the United States Navy during World War II. He served at the Portsmouth, New Hampshire, Naval Station and was medical officer at Dartmouth College where naval personnel were trained, and later at the Brooklyn Navy Yard. He was assigned to the USS Extavia and spent practically his entire tour of duty on that transport. He received his discharge from the navy in 1945 and resumed his local practice. Thanks so much!!!! Been talking to my dad and he rememebers some awesome information. I'll be getting that together and some testamonials from people that rememeber him as well. There will an Open House on the "Life and Times of Dr Sterling McLean". It will be held on September 27th (Sunday) form 1-3pm. It will take place at Paul Provencher's office on the third floor of the Middleboro Savings Bank.